Ward off early morning chills by insulating your core with this soft, cozy vest. Princess seams, reverse coil dyed-to-match zippers, front zippered pockets with tricot lining, binding at armholes and an open hem. Contrast Eddie Bauer logo embroidered on hem. 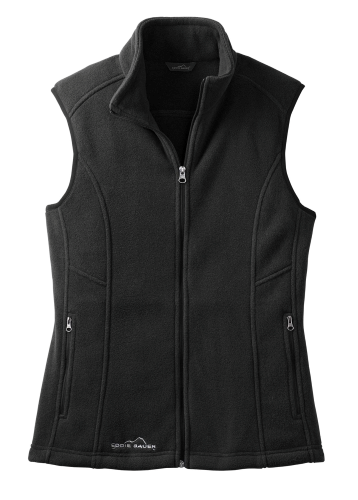 Made of 12-ounce, 100% polyester fleece which incorporates Low Impact Technology ™ for enhanced softness and performance.